This year for Christmas, my family gave my grandmother card sets. This is second set I made. I wanted to keep them simple because I knew I would be making multiples of each design. 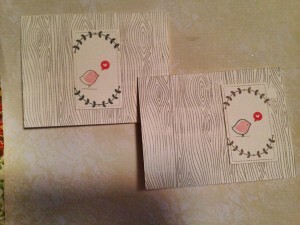 I also kept the ease of mailing in mind while designing these cards. 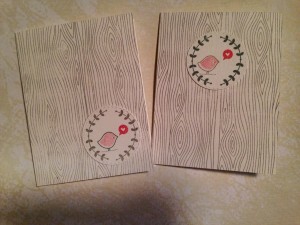 I began by stamping the woodgrain background on all of the card bases in medium grey ink. I die cute two rectangles and two circles for the focal images. I added the birds, speech bubble and vines with colored inks; grays and red. 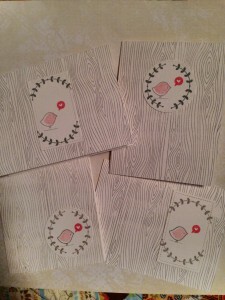 I used second generation stamping to fill in the bird. 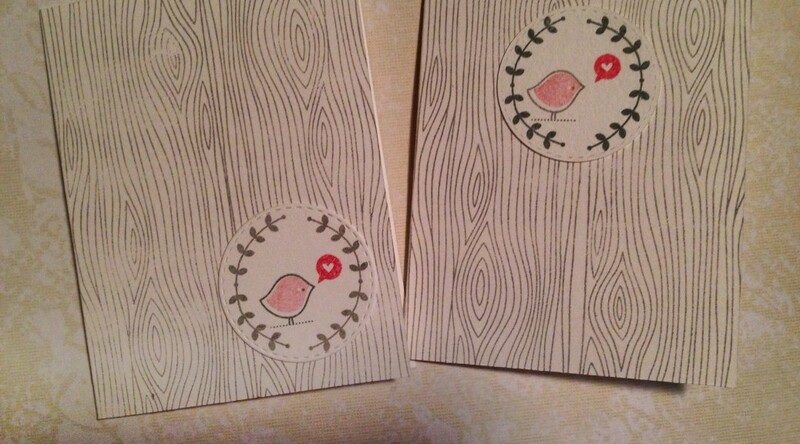 Lastly, I adhered the die cuts to the card bases.